three − = one Required Please enter the correct value. Democrats attempting to trigger a vote on the impeachment of U.S. President Donald Trump amidst tax reform could cause the Dow Jones Industrial Average to slide today. While Congress attempts to merge the versions of the House and Senate tax bill, the big vote on Capitol Hill today could be the impeachment of Donald Trump. 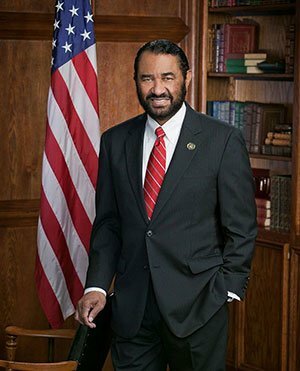 U.S. Rep. Al Green (D-TX) is attempting to lead Democratic leaders in the House to take up a vote on the removal of President Trump Wednesday. While Green is not the first Congressman to write articles of impeachment, he is the first to attempt the triggering of a vote. It remains unlikely that the Republican-controlled body will take up a vote, and this effort is little more than posturing to a liberal base. However, it could provide a lot of fodder for challengers to Congressional seats heading into the 2018 election. Automatic Data Processing LLC (Nasdaq: ADP) released its monthly report on private payrolls, and once again the U.S. economy is looking resilient. Private employers added 190,000 new jobs in November, a figure that topped estimates of 185,000. The report is a sneak peek of what markets can anticipate when the Department of Labor releases the official jobs report for November on Friday. 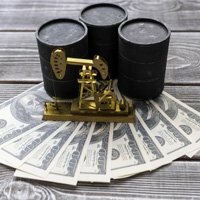 Crude oil prices fell in pre-market hours as traders weighed yesterday's inventory report from the American Petroleum Institute, which indicated an uptick in U.S. gasoline and crude oil inventories. Broader market concerns about economic growth are also weighing on the oil markets. The WTI crude oil price today fell 1.1%. Brent crude dipped 1.0%. The price of Bitcoin surged above $13,000, bringing the world's largest cryptocurrency to a market capitalization above $219 billion. Despite all the warnings about bubbles and regulation, the price increased nearly 50% from last week after it experienced a small correction. The optimism and uptick in buying has been tied to Chicago Mercantile Exchange's upcoming launch of Bitcoin futures trading. For more on what is driving Bitcoin's surge, read our daily recap of cryptocurrency price movements. Shares of Davita Inc. (NYSE: DVA) jumped more than 8% on news that the private health clinic giant agreed to a deal for $4.9 billion with UnitedHealth Group (NYSE: UNH). The company is best known for its kidney dialysis centers and maintains roughly 300 centers in six states. The deal is the latest in a string of consolidation among health insurance companies and other portions of the sector's value chain. The all-cash deal is expected to come in around $4.9 billion. Investors are expecting an announcement early next week about a deal between Walt Disney Co. (NYSE: DIS) and Rupert Murdoch's 21st Century Fox Inc. (Nasdaq: FOXA). Disney is looking to purchase Fox's movie studio, cable channels, Hulu streaming service stake, and international assets. Square Inc. (NYSE: SQ) announced plans to allow more of its most active users to purchase Bitcoin through its Cash app. Shares of SQ stock added 2% in pre-market hours after the firm announced plans to expand the feature after a beta test last month. The news coincides with Bitcoin's breach of the $13,000 level earlier today. Shares of American Eagle Outfitters (NYSE: AEO) gained 3.3% in pre-market hours after the retailer reported earnings before the bell. Despite falling below both profit and revenue expectations, the stock pushed higher. Look for additional earnings reports from Lululemon Athletica Inc. (Nasdaq: LULU), Broadcom Ltd. (Nasdaq: AVGo), H&R Block Inc. (NYSE: HRB), Tailored Brands Inc. (Nasdaq: TLRD), Vera Bradley Inc. (NYSE: VRA), Korn Ferry International (NYSE: KFY), and Ollie's Bargain Outlet Holding Inc. (Nadsaq: OLLI).